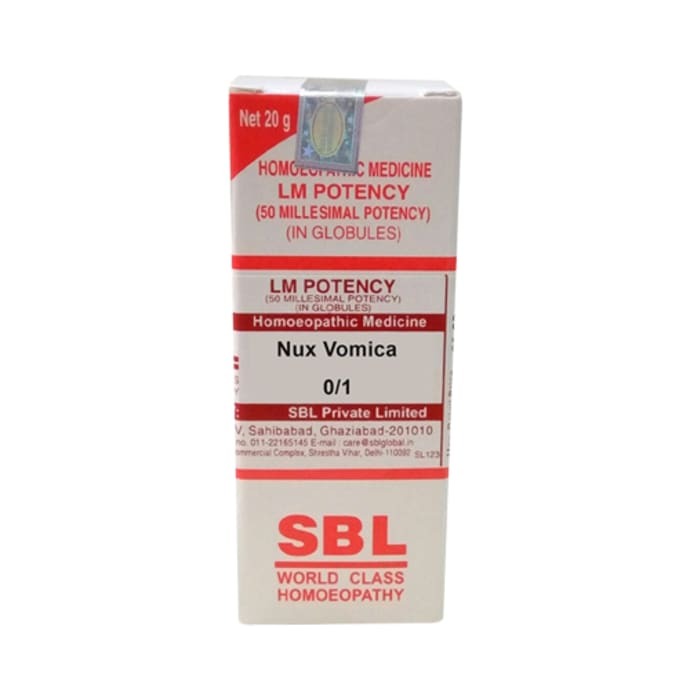 One of the first remedies for all types of chronic illnesses, Nux Vomica is prepared from the Poison-nut. Good for those who take a lot of mental stress, work prolonged hours in the office, over studying students, business workers. Headaches when going out in the sun. A headache starts because of extensive coughing. Stuffy colds, snuffles, after exposure to dry, cold atmosphere; worse, in warm room. Odors tend to produce fainting. Works well for nausea and vomiting, eating a very spicy and pungent diet, acidity. Sour taste, and nausea in the morning, after eating. Weight and pain in stomach; worse, eating, sometime after. Dyspepsia from drinking strong coffee. Difficult belching of gas. Wants to vomit, but cannot. Pain when trying to pass stools, piles, constipation, unsatisfactory stools. Frequent ineffectual desire, or passing but small quantities at each attempt. Good for females whose periods are always irregular, black and painful. Can help to improve sleep, suited to those taking short naps. Cannot sleep after 3 am until towards morning; awakes feeling wretched. 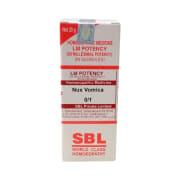 A licensed pharmacy from your nearest location will deliver SBL Nux Vomica 0/1 LM. Once the pharmacy accepts your order, the details of the pharmacy will be shared with you. Acceptance of your order is based on the validity of your prescription and the availability of this medicine.